Finding it is easy. In fact, the monument is visible from a great distance from the island. 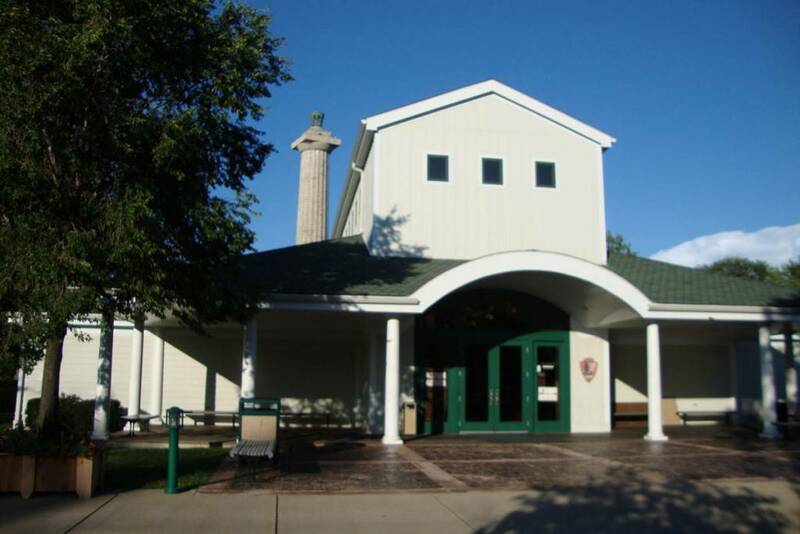 The downtown Put-In-Bay area is home to the Monument and the Visitor’s Center. The Jet Express Put-In-Bay terminal is just steps away. Also, the majority of the Put-In-Bay Attractions, Dining and Shopping options are nearby. So, this is a good starting point. During the Battle of Lake Erie, Naval Commander Oliver Hazard Perry utilized Put-In-Bay. Here, he collected water from his men at present-day Perry’s Cave. Also, he plotted out his attack on the British forces. Ultimately, despite being out numbered, Perry was victorious. His famous line, “Don’t give up the ship,” if found on flags and t-shirts in local shops. So, following the War of 1812, there was a plan to build a monument. This would celebrate the victory. Additionally, the focus was the peace between nations. Today, we can see their efforts with this beautiful monument. The National Park Service has been doing improvements to the park. Consequently, the observation deck has been closed during this time. Fortunately, the park will resume normal operations at the start of the 2018 season. So, guests can again go to the top and take in the great vistas. From here, nearly all of the Lake Erie islands can be spotted on a clear today. It is even possible to see Canada! The views are amazing. A trip to Put-In-Bay is not complete without a trip to Perrys Victory Monument. The history and the beauty of the grounds make this one of the most popular island attractions. Come see for yourself.